Editor’s note: I had the pleasure to touch base with the guys over at Gozoop a few months ago and discovered a company dedicated to creating the best startup culture. 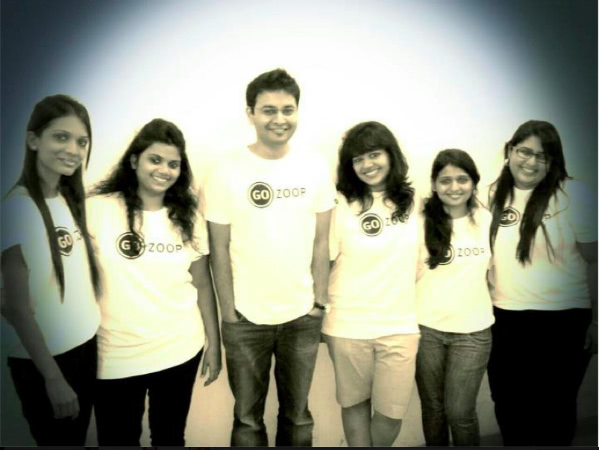 CEO Rohan Bhansali was generous enough to share more on how he puts his team before his business, and makes sure the Gozoop vibe is one to be proud of. “What do you really want to do?” I asked Ahmed in our early days. After a brief thought he answered, “I want to keep people happy.” One thing was certain – no matter what business we pursued, no matter what scale we reached, we would build a good and happy team. The first 2-3 employees you hire really shape the culture and future of the company. We were really lucky to have genuinely nice and sincere people. Great people who helped us establish a great culture. Maintaining this culture was a completely different thing. 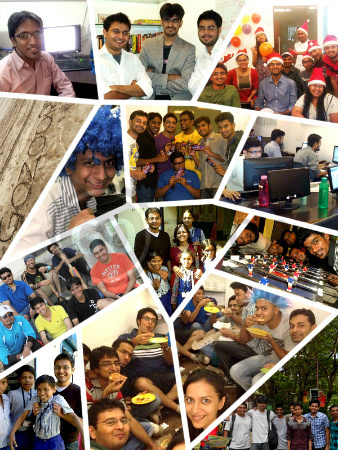 2011 was a year of solid growth for the digital services business in India. VC’s were pumping in good money into ecommerce ventures, who in turn were investing good money into digital marketing. Sales were our focus and in the midst of all this we were ignoring something far more important – our culture. We were less diligent with the kind of people we hired. Our Saturday parties and Foosball matches were few and far in between. Communication was not as open and something just didn’t feel right. Dushyant, Ahmed and I realized that culture does not work on auto mode. We needed to nourish it on a day-to-day basis. The first thing we did was reduced our sales targets. We needed to get the team right first. Culture is a very subtle and delicate aspect. I probably wouldn’t know how to explain it if you asked me. The revival process was slow and gradual. But we knew what we had to make right. And we did. Every Saturday our team gets together to do random things – Food eating competitions, dancing to Bollywood tunes, drawing competitions, new hire icebreakers, etc. Gozoop M2M – Every month we send an email to all members of our team covering all aspects of the company – new hires, new clients, IT upgrades, any learning’s or experiences, issues raised, outstanding performances, etc. Bansi, our Happiness Officer, randomly surprises our team with the most amazing cupcakes. She has a knack of doing these things when we most need it. We write letters to the parents of our most sincere and dedicated teammates highlighting their contribution. I don’t think a parent could be more proud when they hear about their child’s success. Biggest Loser – To promote health and fitness within the team, we have a monthly weight loss competition. Last month our SEO head lost 13 pounds and took the title. We lost a cumulative 68 pounds in the last 3 months. We donate a percent of our profits towards child education and animal rights. Together we decide what organization we want to support. I’m sure there are things we can still do better. But we are happy as a team. One of the standard questions we ask while interviewing is, “Why do you want to join Gozoop?” and often the answer is, “I don’t know… I just like the vibe here.” Nothing makes me happier. Rohan Bhansali is the CEO of Gozoop, a new entrant in the digital services and products space in India and UAE that has carved out a niche for itself in the ecommerce space.